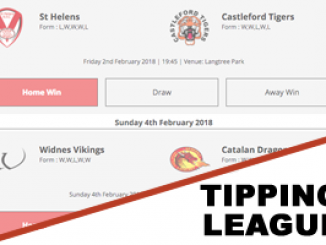 As rugby league continues to throw itself under a bus with the public slanging match that’s doing little to endear itself to fans, new fans and commercial partners, it makes you wonder how we got to this stage. Five years ago we entered a near frontier, the spectacularly complicated Super 8s, which was apparently meant to be the saviour of the sport. It has proved anything but. While it has of course given greater chance for Championship clubs to be promoted to Super League, there is no guarantees of a club being promoted (unlike with the traditional one up, one down system) and has improved funding for those out of the top flight. But it has dented interest in the highest quality games in the sport, which are the ones that attract the most interest, from a broadcast and sponsorship point of view. You can hardly blame the Championship clubs for wanting to retain the status quo, at least until the end of the current broadcast cycle in 2020. But you can also appreciate the frustration of the clubs at the top who are seeing their own ambitions restricted by a completely unnecessary convoluted format, as well as having to dish out significant amounts of money which they perceive as coming in to broadcast their competition. Aside from the daft format, the whole fall out has been impacted by the current situation surrounding the Championship broadcast rights. 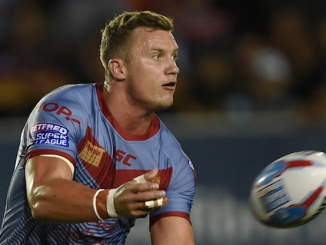 Sky Sports are a fantastic partner of rugby league and while it has been disappointing to see their non-match coverage cut in recent years, such as the magazine and highlight programmes, the sport would be a lesser place without them. That said, they shouldn’t have been allowed to take the broadcast rights to the Championship without minimum guarantees on coverage and the fault of that lies on the side of the game, not Sky. Of course, this year additional games have been broadcast, but only due to the presence of the Toronto Wolfpack, and the Summer Bash coverage is barely lip service to the Championship competition which deserves far greater exposure. The most alarming fact is that despite the advances in technology and broadcasting, the Championship still receives considerably less coverage than it did more than a decade ago. A column I wrote last year asked if rugby league had moved forward since 2004, and clearly it hasn’t. My suggestion of a World League or even just a breakaway Super League to enable a line to be drawn in the sand between the commercial strategies for some and the desire to just be sustainable rugby league clubs by others, desperately needs to happen. Sadly, it looks like tomorrow we will enter in to yet another period of unknown, with squabbling clubs failing to agree. 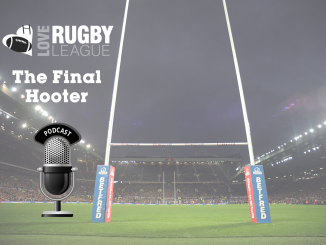 There has been criticism of the RFL and its chief executive Ralph Rimmer, but it’s difficult to see just how they can deal with this mess which has been rumbling for far longer than Rimmer has been in post for. 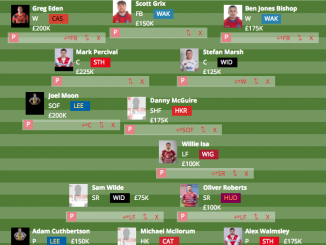 The RFL board can, of course, veto any changes to its competition structure but the fear is even they don’t really know what’s best, and they can ill afford to have the likes of Wigan leading a revolution to breakaway. In one of the latest statements, Featherstone chief Mark Campbell calls for the players to be represented in the discussions. But they were represented, by League13, at the last discussions and League13 was strongly against the implementation of the Super 8s, having consulted with the Scottish and Swiss football associations who had both rejected and failed similar systems. 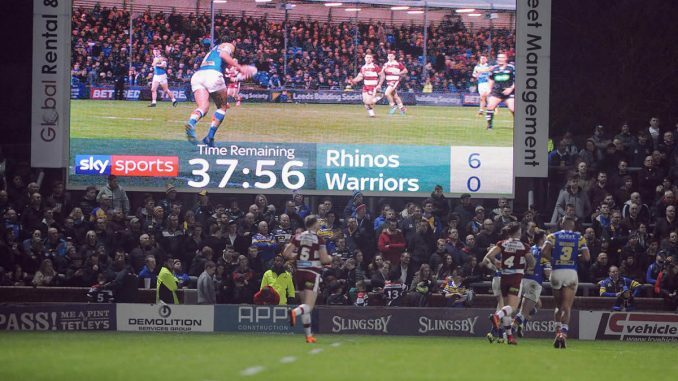 That was the perfect opportunity for the players to have their say, but their inability to mobilise themselves when it mattered, meant the Super 8s was passed with more than whimper, with then RFL chief Nigel Wood having been able to sell the vision to enough clubs to force it through. It was when that change got passed that regular Championship coverage disappeared from the TV screens, albeit it had been relatively marginalised to subscription service Premier Sports rather than Sky Sports by that stage. The Premier Sports coverage seems like gold dust in hindsight, but the fact that as the change was done mid-deal that no negotiation could be done with other broadcasters means that come 2021, there may just not be anyone willing to take such a fractured sport on – and that’s at Super League level, let alone below that. 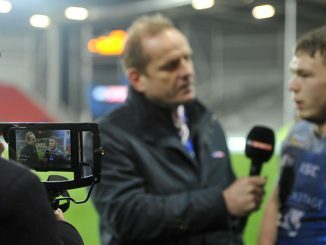 The fact that amateur rugby league gets live games on freeview TV – credit to Alex Simmons and Rugby AM for that – when there are full-time teams in a long established competition with some of the sport’s most historic names, as well as some its expansion sides, that don’t get anything reflects on how poorly the broadcast deal was brokered. It’s not just the lack of TV coverage that is affecting the Championship clubs, it affects everything else too. If they were on Sky Sports a couple of times a year, they could attract more revenue in sponsorship, get more attention in the build up to matches, and just generally have a greater profile. Without that, they are ever more reliant on the handouts currently allocated to them via central funding, which perhaps if they weren’t so marginalised by the current broadcast deal, they would be able to make up for in increased sponsorship. It’s a sorry mess and you feel that whatever the outcome of tomorrow’s meeting, it’s far from being over.